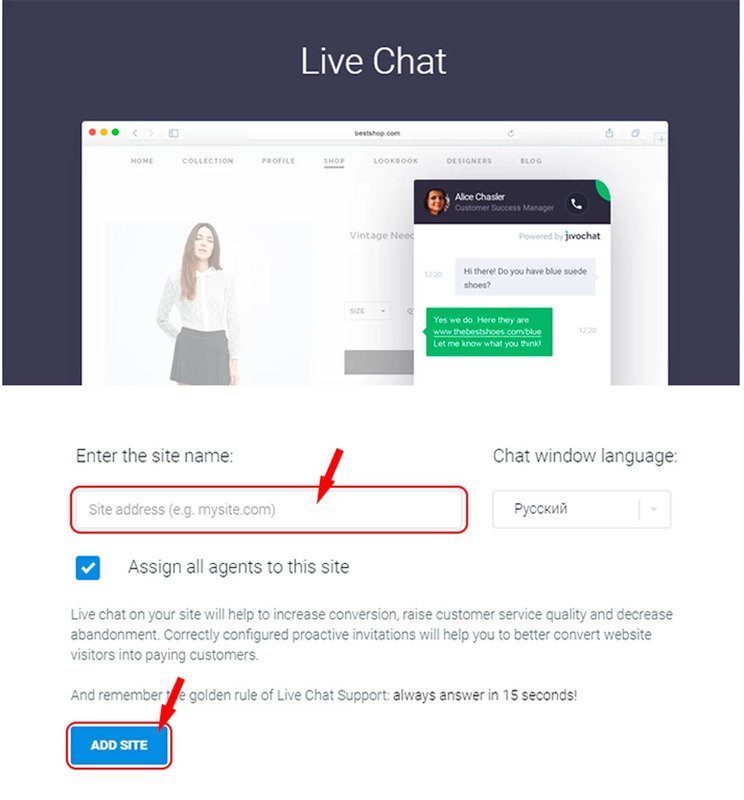 After you have registered, you need to go to the Jivosite control panel and choose which communication channel you will connect, in this case you need "Chat on site". 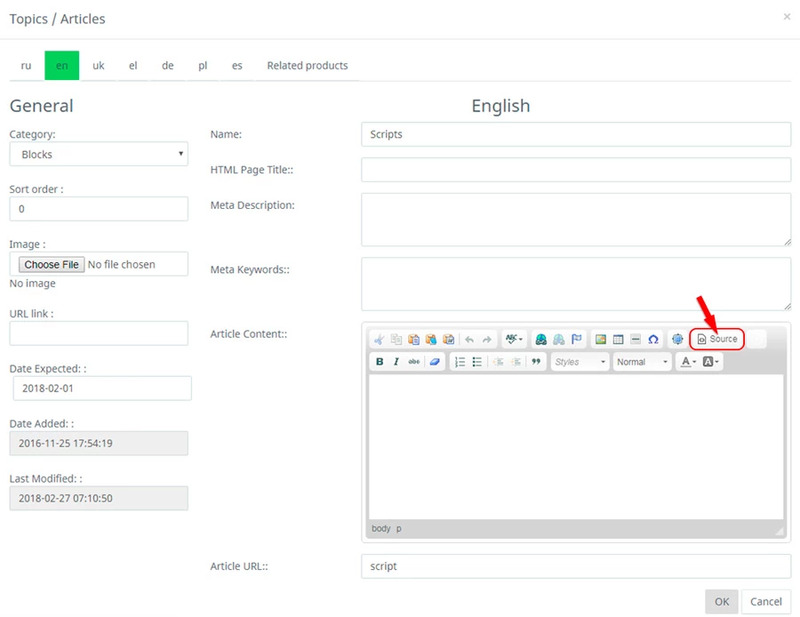 In the opened window you write the address of your site and click "Add site"
A new window opens, in which the code will be indicated, you need to copy it and paste it onto your site. 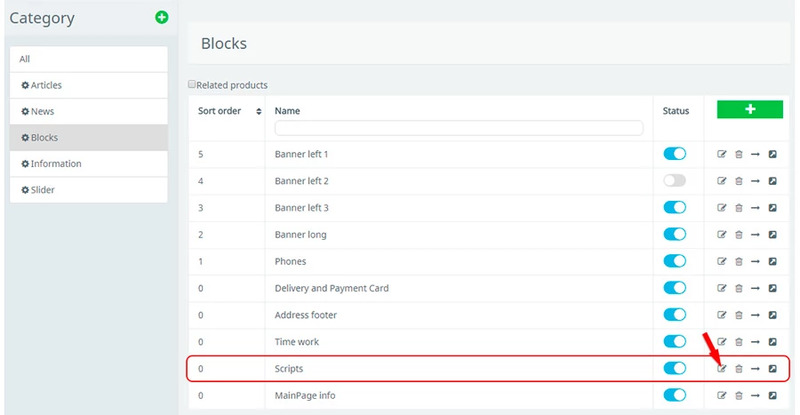 After you copied it, go through "Info pages / Pages / Blocks" and click "Update" next to the value "Scripts". Before we open the window for editing, it needs to click "Source". In the new window that opens, we insert the script itself (code). 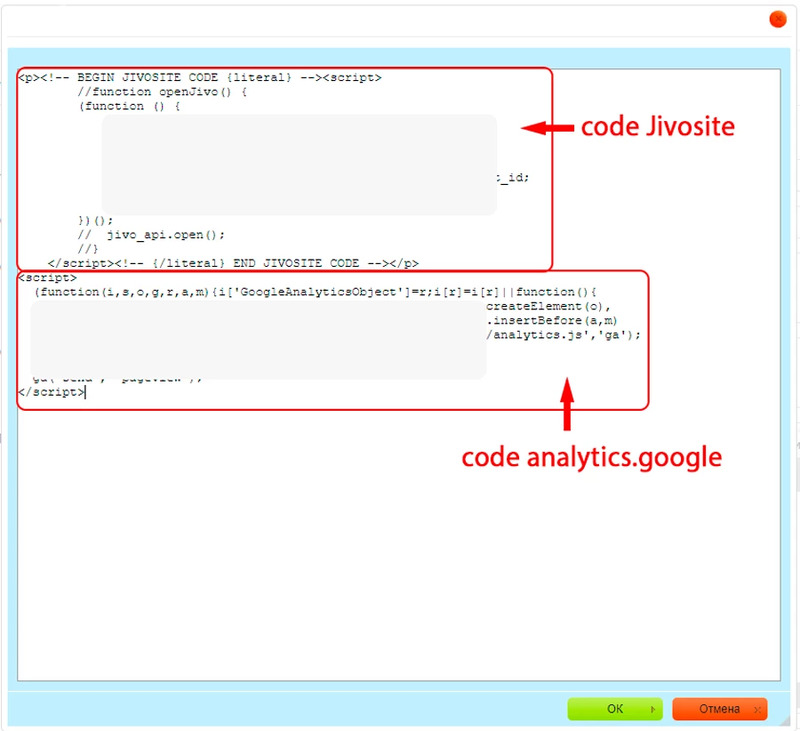 ATTENTION: If there is already an old Jivosite code in this window, you should delete it and insert a new code. In order to save everything, click "OK". Everything, your online consultancy is activated.